Confucius say, Man who drive like hell, bound to get there. Thanks to my friend Cissy who prepared spareribs in the Instant Pot I tried baby back ribs in the IP and unless you love the ceremony of tending ribs over the grill not to mention an over night dry rub marinade time this is a fantastic way to go, I’ll probably make ribs more often with such tender and juicy results and you can finish them under the broiler on a grill for a bit of char. 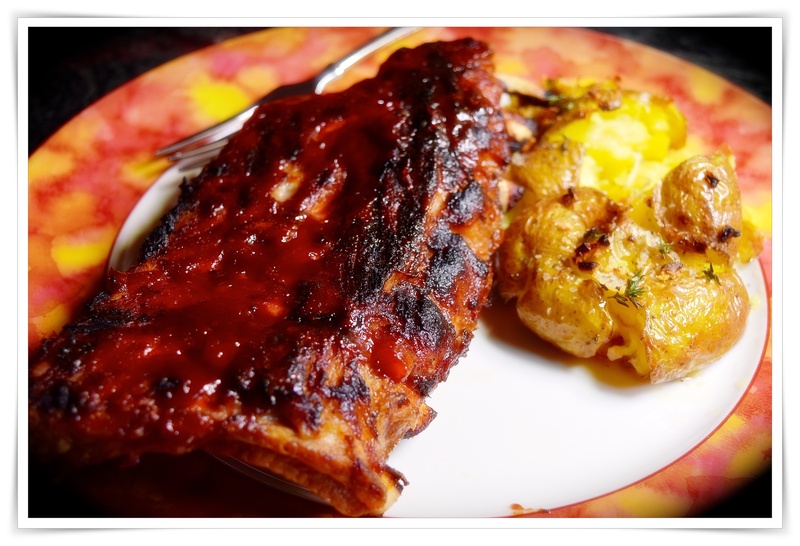 So easy and there are a few methods out thereto try, but for me I made them using the little rack that came with the pot and since rack of ribs was already cut in half the ribs were easy to handle. I went with a fifteen minute time under pressure, a quick release and then the ribs were ready for a slather of a favorite BBQ sauce (TJ’s Apple Bourbon). Preseason the ribs with a favorite dry rub for ribs (Public had some pre-seasoned ribs in the meat case so I just gave them a sprinkle of “Old English Prime Rib Rub” from The Spice House). 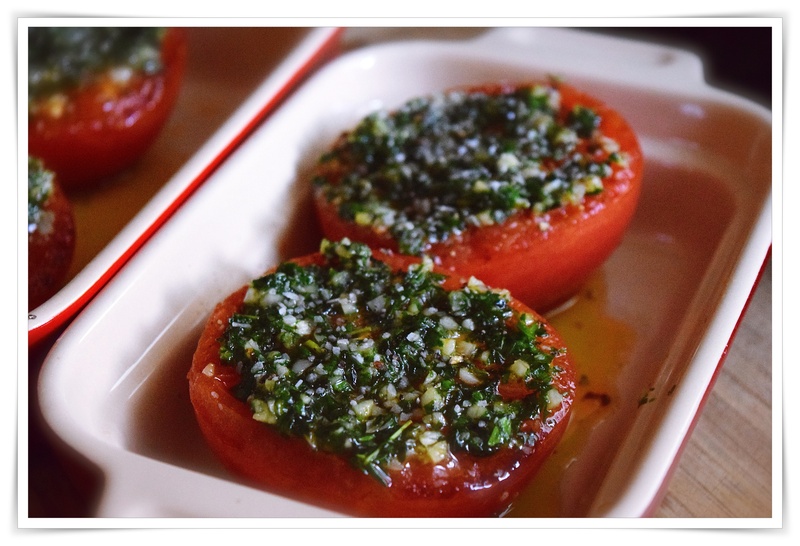 With time on my hands I prepped crispy thyme and garlic smashed potatoes and Jacques Pepin’s tomatoes provencal…what a great dinner! I can’t quite grasp the idea of completely submerging ribs in water to cook them, but I suppose that there are many that do it judging by the number of recipes out there using that method so for me and my preferred method the liquid for the pot was about 1/2 a bottle of Angry Orchard crisp apple hard cider and 3 tablespoons cider vinegar. The next step is to put the ribs thick side down starting with propping them up against the side then you can add an additional halved rack in the center. Seal the pot with vent closed, set manual and for 14-17 minutes…I chose to quick release them and I was glad that I did because I think the rack of ribs would have been too fall apart and difficult to handle for grilling or broiling. I think Mike had them on the grill for 1-5 minutes basting and turning several time, but you know how you want your ribs to look in the end so keep an eye on them especially under the broiler.